Help Your Kids with Music is a step-by-step visual guide to music theory. 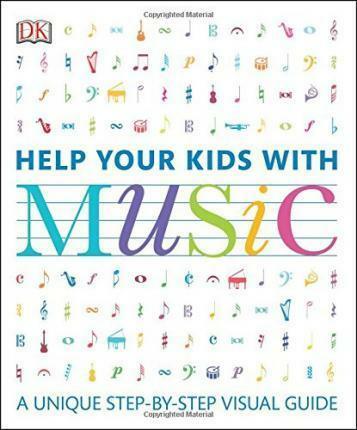 Help Your Kids with Music is the perfect primer to help students gain a solid foundation in music, no matter their age, skill level, or instrument. The Basics explains the types of instruments, notation for keyboard and stringed instruments, the "musical alphabet," and counting a beat. Rhythm covers the length of notes and rests, as well as basic rhythms and meters, phrasing, syncopation, tempo, and using a metronome. Tone and Melody includes everything a student needs to know about tones and how they work together to build a melody. Chords and Harmony shows how intervals work together and includes examples for horn and woodwind instruments. Form and Interpretation helps students understand how musical form can aid appreciation and interpretation for classical, jazz, blues, and other musical styles.